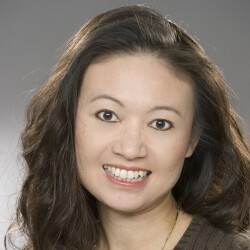 Dr. Wu is a dedicated clinician, researcher and educator. For her efforts in Education, Wu has received many awards at Rosalind Franklin University including the Dean’s Award and the Lawrence R. Medoff Award for Outstanding Performance in Research, Teaching, and Clinical Practice. She has also conducted extensive research in limb preservation and the treatment of diabetic wounds. Dr. Wu led the effort in helping secure podiatry’s first NIH T-35 training grant for the training of future podiatric researchers at Scholl College. Dr. Wu welcomes new patients of all ages. Dr. Wu’s areas of interest include assessing risk factors for lower extremity complications in patients suffering from diabetes mellitus, as well as diagnosing and preventing those complications, managing them, and treating them in a variety of manners, including surgery.